Today, I have some advice for those of you heading into retirement or already into retirement and have realized that, for whatever reason, whether it was an unforeseen or medical expense or just a lack of excess income after all the expenses of taking care of your family or whether you just didn’t pay attention to saving until it was too late. My theme for you continues to be “Yes, you can retire and live twice the life at half the cost”. You just have to be smart about it”. Now here’s my advice… if, after adding up all you’ve saved for retirement, you find that your income won’t be enough to support you, start to actively look for ways to trim your expenses. This way you can keep more of the income you are set to receive, enabling you to live the life you’ve always dreamed of but could not afford. Today, I want to share some of my favorite suggestions and add a few I picked up from an article titled 7 Realistic Strategies for Retirement by Tom Sightings, for U.S. News & World Report. First, remember there are only two ways to get to your destination. Using a boating metaphor, you either raise the bridge or lower the water. Raising the bridge means earning more income. Lowering the water means cutting your expenses. Only you know which choice is the most feasible for you but today I am going to talk about ideas which “lower the water”. #1. Assess where you stand. Basically, add up all your assets… add up all your liabilities such as mortgage debts, car loans, credit card or other borrowings, etc… add up your sources of income… and make a list of all your expenses such as property taxes, utility bills, etc., to see what’s necessary and what’s discretionary… and you’ll soon have a picture of what you earn and spend in retirement, what you have and what you owe… a nice reality check that tells you where you stand. We do this in our practice. We will analyze banking statements and credit card statements to get the TRUE picture of a person’s cost of living. Knowing what your worth and all you currently spend is the cornerstone for ending up with a successful outcome. #2. Downsize. If you don’t have the money to buy a nice car, skip the new one and go recent second-hand, perhaps 2-3 years old, with low miles… you’ll save about 30%-50% of the cost of a new car – that’s thousands of dollars that you can use for a vacation or something else. If you’ve got a big old house in a great school district that served you well when your kids were at home, consider downsizing to a smaller place in a less expensive neighborhood – why pay high property taxes and utility bills when you don’t use half the space in your house??!! If you don’t think this is a great time to sell, consider other options such as renting-out your big house and buying a smaller place, where your rent more than pays for your new mortgage. Or, if you don’t want to buy something, rent a place in an active seniors’ community so you can have more fun and earn a bit from the extra rental income you make on the big house. #3. Don’t subsidize your kids’ lifestyles. Remember that old saying… give your children roots and wings… roots so they know where home is and wings so they can fly away. Encourage your kids to live on their own so they can learn vital life skills such as living independently, spending a substantial portion of their income on rent, reigning in other expenses, doing groceries and cooking on their own, paying bills, taking care of their own safety and well being, etc. If you let them stay at home, have them pay rent and their share of expenses, and have them manage household chores so they’re better prepared for a life without you. Alternately, as you and your children age, consider moving in with your kids… (I know this sounds impossible for some of you, but hear me out!). Many two-income families can use an extra pair of grandparents to hold fort while they are working or be there when the kids come home from school. This concept of joint family has its advantages if you don’t add to each other’s stress levels – it’s less expensive than staying alone, you benefit from being near your kids and grand-kids, and your grand-kids are better off coming straight home after school than heading off to paid after-school care centers – in addition to the cost savings, its much better for young grandkids to be home under friendly adult supervision than be out. If you move in with your adult children, make sure you’re not a financial burden on the household you move into… because your kids will respect you all the more for fairly sharing expenses. Another viable option is moving in with a friend or another senior you get along with – for companionship and to lower your retirement expenses. #4. Go international. 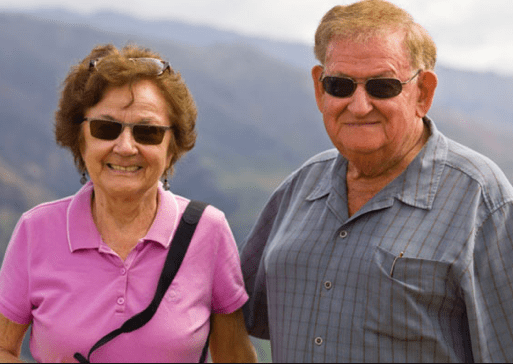 Many Americans move abroad after retirement – to small towns in places like Mexico, Costa Rica, Thailand or Malaysia – where the cost of living is low, where there are safe ex-pat senior communities and where locals respect the elderly. These are also places where you can hire someone to cook and clean for you, for relatively little money in dollar terms, and lead a comfortable retired life on a smaller budget than what it would cost stateside. Of course, you want to be sure healthcare in the area is adequate and that you are relatively near an urban center should you need some more serious healthcare assistance. #5. Leverage retiree resources. In many cities in the U.S., seniors get subsidized transportation such as free taxi rides to the grocery store or to the airport for as little as a dollar. In addition, senior centers offer a host of activities such as road trips, movies; free TV, free Internet, game rooms with pool tables, free or low cost access to local swimming pools and gyms, etc. Plug in – you’ll save money, it’ll keep your mind occupied, you could learn new skills and you’ll be surrounded by friends who will also form a nice support system. And certainly join organizations such as the Senior for discounts on things like supplemental medical insurance, lower Triple A rates, cheaper tickets to ball games and entertainment parks, etc. So even if you’ve saved more than enough for retirement, it’s just plain commonsense to lower your expenses and increase your savings. Use your extra savings to contribute to local charities, schools or universities… where your money can significantly improve the quality of life of others… get involved in causes close to your heart and keep yourself socially engaged. Studies have consistently shown that seniors who are actively involved in social causes lead healthier, happier lives… so do well by others, for their sake and yours.